A trefoil is a decorative element composed of three circular elements linked together much like a three-leaf clover. Very popular in jewelry, trefoils are found in jewelry design throughout history. 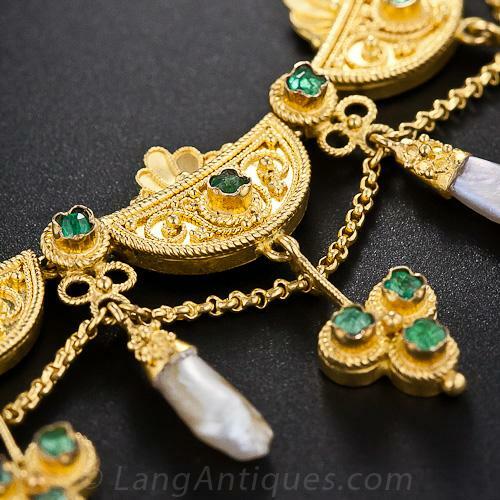 Victorian Etruscan Revival Emerald Necklace with Emerald Set Trefoil Elements and Freshwater Pearl Pendants.